A road map for the new guidelines - and one that could spur PR industry growth. The FTC's headquarters in Washington DC. It’s often been said that PR missed a golden opportunity to "own the Web" when it became a popular medium. We let the advertising industry lead and collect the huge financial rewards. On December 22, the FTC published "Native Advertising: A Guide for Business." It’s an opportunity for PR to take a leadership role and grab a lion’s share of digital marketing dollars in native advertising. The guide includes three sections that outline the principles behind the FTC moves, shares examples, and offers guidance on how to meet the standards for clear and conspicuous disclosure. What’s new? Under FTC law, "Advertisers are responsible for ensuring that native ads are identifiable as advertising before consumers arrive at the main advertising page." This applies to native ads that drive consumers to articles and increasingly video. 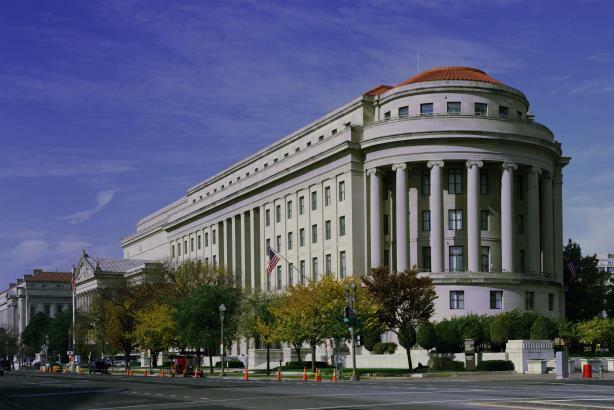 The new guidelines state that even if the claims made in the advertisement are truthful, the FTC can still view them as deceptive based upon the format. Advertisers can also be in violation of the new guidelines even if you place the words "sponsored content" prominently in the native ad. These are industry firsts, especially requiring advertisers to be responsible for "deceptive door openers" that deliver consumers to content — even if the content is in full compliance. A number of the examples in the report are specific to video. The big change is the requirement for disclosure "of the video’s commercial nature before [consumers] play it." Even links appearing in non-paid search results should effectively disclose the commercial nature of the content. There are cases where disclosure is required within the content of the video itself. Not all marketing groups agree with the FTC. In a press release titled "IAB concerned about FTC guidance," the Interactive Advertising Bureau raised concerns about limits on creativity and commercial speech while praising the FTCs work to provide guidance. It cited its study, which found 82% of consumers could easily identify "in-feed sponsored" content as evidence changes weren’t needed. Do you think the FTC is cool with one in five consumers being misled? Other studies have found significantly different results. Two studies from researchers at Grady College, which were published in the Journal of Advertising, found only 7% and 17% of consumers were able to correctly distinguish native advertising from editorial content. What isn’t debatable is the FTC is holding advertisers to a much higher standard. Do you think most brands, PR firms, ad networks, and publishers are already complying? Think again. We found multiple examples on newspaper and Internet media sites, on social media networks including Twitter and Facebook, and on ad networks including Taboola and Outbrain that were in clear violation of the new guidelines. Advertisements on Twitter that used the word "promoted" are in violation of the FTC guidelines that state: "Consumers may not understand that the advertiser influenced the content." The words "Recommended by Outbrain" don’t meet the new standards. Two stories on BuzzFeed illustrate the dilemma. In one, the "door opener" for a Lexus ad said: "That got us (BuzzFeed) thinking about alternative fuels in general and why people haven’t seemed excited about them until now." The other, a targeted promotion toward sorority girls from Geico said, "Your sorority membership could get you a discount with Geico on your insurance policy." The first is in violation. The second complies. So what does PR need to do to own native advertising? Recognize there is an ongoing struggle between those who feel hiding the source of your message is good for business and those who feel taking ownership of content benefits them and their brand. Take ownership of content. Resist temptation to find loopholes in the guidelines that might put clients at risk. As with the FTC spokesperson guidelines for third-party spokespeople in video and media tours, recognize that disclosure is another opportunity for branding and a chance to offer value to the public. Don’t fear the guidelines. Only work with partners who understand them and agree to lead on compliance. Pressure publishers, ad networks, and social media sites to integrate compliance into their formats to allow for creativity and disclosure without putting brands at risk. The result will be better serving our clients and the public, grabbing the lion’s share of digital marketing dollars, and changing our reputation for the better. The FTC has made it clear it will be looking to make some brands an example. Don’t let it be you or your client. Douglas Simon is president and CEO of DS Simon Media.